This recipe is a very simple one which literally only needs two ingredients but sometimes you don’t need too much to create something delicious. Omelettes, “tortillas” (in Spanish not to mix up with “tortilla chips”) or “truites” (in Catalan) are very familiar for me and I cook them practically every week. The reason for that is that I grew up eating them as my mum would cook them, specially Spanish potato omelette (“tortilla de patatas”). My favorite to make myself nowadays is the aubergine or eggplant one. 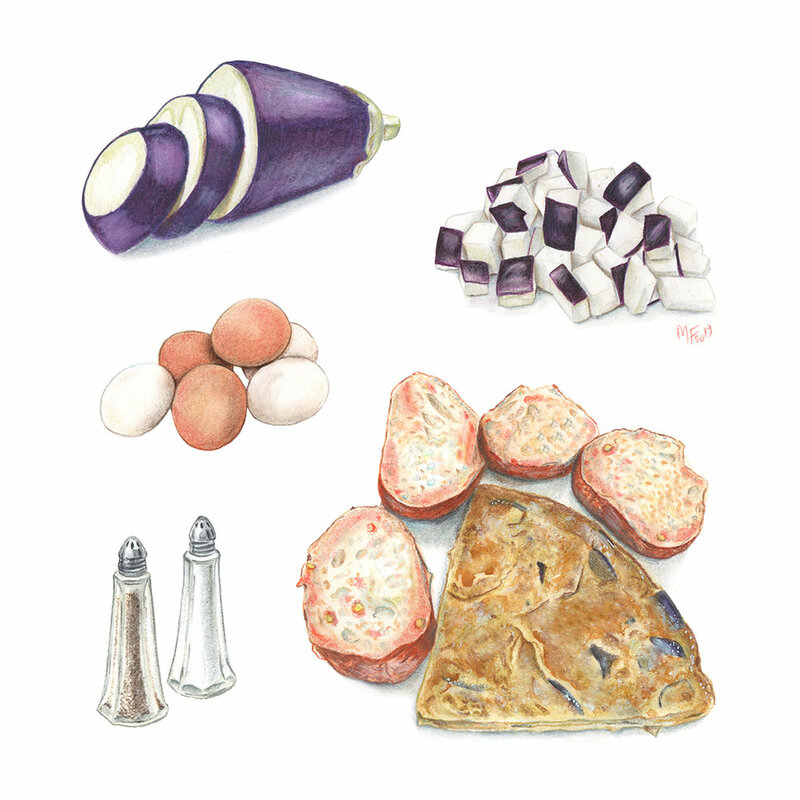 The flavour is magnificent and the aubergine and the egg mix so well together. I was so inspired that I decided to illustrate it. For the actual illustrations, I used Canson mixed media paper and I started with a light watercolour wash and then I proceeded painting all the items and ingredients with coloured pencils. Instead of going as realistic as I normally go for my botanical pieces, I focused more on texture and colour. Playing with only two ingredients can be tricky in terms of coming up with a good composition and visually engaging piece so, as I said, my aim was to make it as vibrant and as bold as possible. 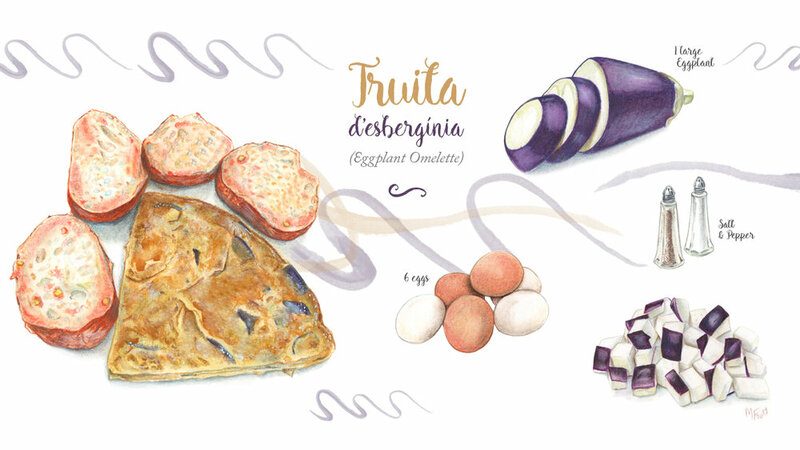 I hope you enjoy it and I encourage you to give it a go at recipe illustration, particularly if you have a personal recipe or one that is close to your heart. It is a nice tribute to heart made food! Also, as I mentioned at the beginning of this post, stay tuned for more information, challenges and resources through this blog. I AM BACK!